'Coveney is the only writer who could get under Smith's skin, capturing her steeliness and vulnerability' INDEPENDENT ON SUNDAY From her days as a star of West End comedy and revue, Dame Maggie's path has led to international renown and numerous accolades including two Academy Awards. Recently she has been as prominent on our screens as ever, with high-profile roles as the formidable Dowager Countess of Grantham in DOWNTON ABBEY, as Professor Minerva McGonagall in the HARRY POTTER movie franchise and as the eccentric Miss Shepherd in the film version of THE LADY IN THE VAN by Alan Bennett. Paradoxically she remains an enigmatic figure, rarely appearing in public and carefully guarding her considerable talent. 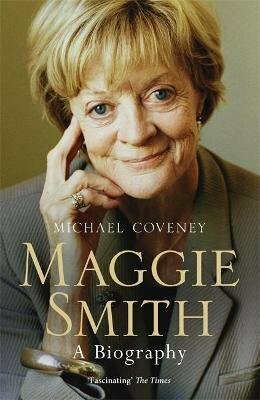 Drawing on personal archives, interviews and encounters with the actress, as well as conversations with immediate family and dear friends, Michael Coveney's biography is a captivating portrait of the real Maggie Smith.